Overlooking the turquoise Indian Ocean in an exclusive setting beneath Le Morne mountain with the expanse of soft white beach to one side of the resort lies LUX Le Morne Resort. Quietly retreating behind coves and dazzling Indian Ocean water, the location is so beautiful it's been awarded entry in to the UNESCO World Heritage site status. Think picturesque Mauritius, complimented by a sky full of colour at sun down. 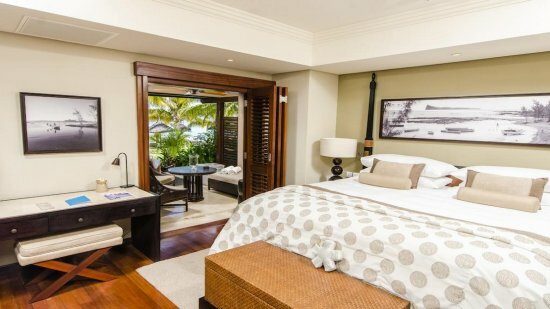 Offering a high level of luxury LUX Le Morne Resort exudes a charming boutique ambience. Flavourful combinations await at the superb restaurants and bars, family-friendly activities and adventures ensure long happy days and land and sea thrills will keep the high-octane lovers enthralled. Accommodation continues the 5-star luxury with fabulously indulgent suites offering numerous perks amidst contemporary, chic designs of rich natural wood complemented by light colours. 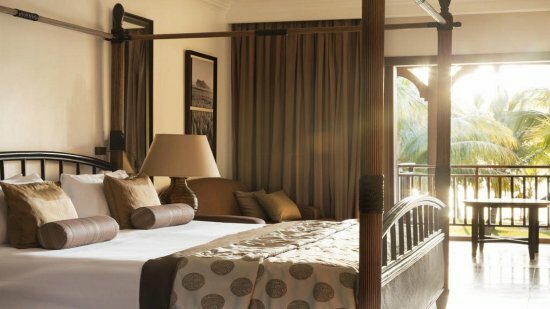 Expect plush beds guaranteeing restful sleep, large terraces opening onto garden and ocean views, marble bathtubs looking over lagoon views to name a few. Fabulous spa treatments, excellent entertainment and family-friendly fun await guests selecting LUX Le Morne as part of their unforgettable Mauritian holiday. 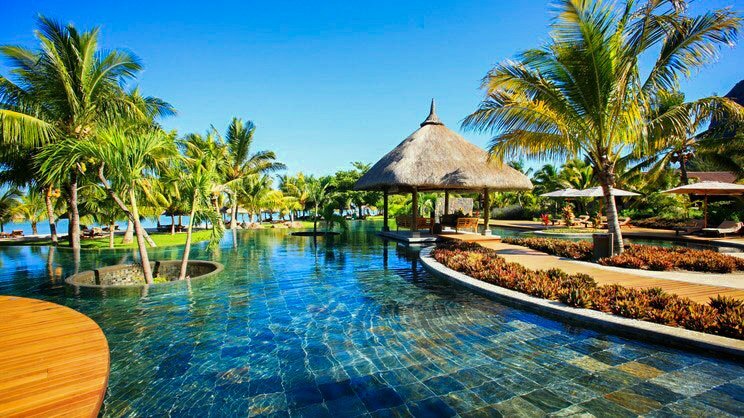 The LUX Le Morne resort is situated on the South Western tip of Mauritius, on a stunning beach of pristine sand and azure waters. The LUX Le Morne resort enjoys a secluded location but does, however, have a plethora of amenities onsite. Sir Seewoosagur Ramgoolam International Airport is approximately 60km away from the resort. A stunning suite with pristine balcony area perfectly situated for enjoying gorgeous sunsets. An indulgent whirlpool, dressing room and ample living space combines to provide a romantic haven for special couples. Enjoy Lux privileges and a fabulous design in these special rooms. 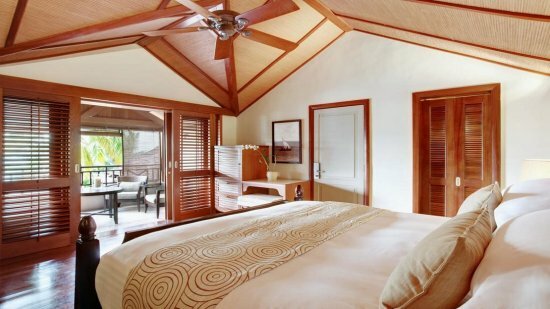 A fully-furnished terrace, marble bathroom, private dressing room and ample in-room amenities make these suites perfect for couples or small families. A beautiful design is the theme throughout all accommodation categories. 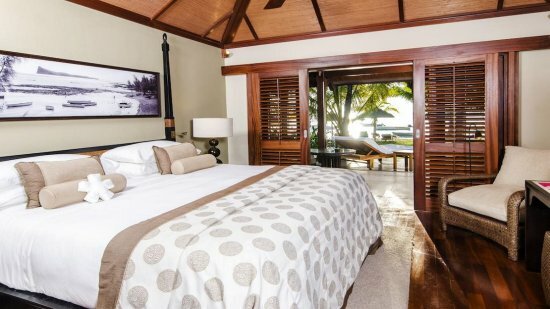 Perfect for 2 adults and one child these luxury suites promote the calming influence of beautiful Mauritius from the fragrance of scented tropical gardens carrying through the air to sun-drenched private terraces. Whirlpool marble tubs in the bathroom, iPod docks and tempting mini-bar delights, all complimented by an extremely stylish decor. A beautiful display of 5-star luxury, prestige suites feature an outdoor shower and private furnished terrace. Island-style living is the theme here against a high-level of comfort from spacious living to plush beds, calming colours and rich woods with shutters to the master area for added privacy. A decadent suite, Ocean Junior Suites feature a beautiful layout beside the water comprising marble bathroom with indulgent tub facing over stunning lagoon views. There is a private patio, spacious interior living and plenty of in-room privileges amidst natural wood furnishings, and stylish decor. 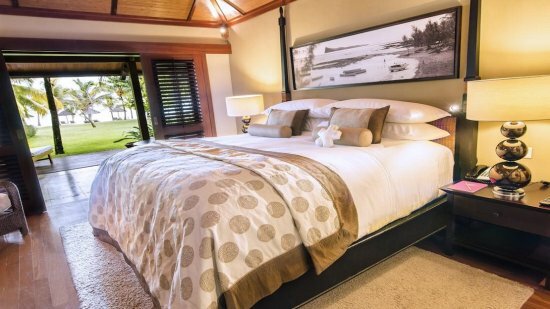 Brimming with things to see and experience, Lux Le Morne is in the perfect setting for a rich and varied holiday. From energetic excursions and sports to pampering spa and beauty, child-friendly activities that excite every day to family dining in classy venues. Satisfaction and lasting memories is at the heart of every tiny detail here at Lux. Exotic flavours or traditional international classics, innovative creations and elegant a la carte, fine dining and wine lists or sultry sundowners; the choice is entirely yours at Lux Le Morne, a leading 5-star resort drenched in Mauritian beauty. Flavourful dishes are created here ensuring a lavish feast is served in banquet buffet-style each morning and evening. An array of delicious Mediterranean cuisine is served here with healthy choices and all manner of delights enjoyed against a fabulous backdrop of clear blue water and soft sand. Whilst enjoying the pool environment, guests can take a pew at this fabulous swim-up bar and enjoy light snacks and a variety of cooling beverages. Vibrant Thai dishes are expertly created here at this stunning signature restaurant. It's such a treat that a small fee will be added per person to cover the careful planning and attention to detail bestowed upon privileged guests who dine here. A light meal or snack can be enjoyed by day and a cool and stylish cocktail by night against lively music and a night time transformation!